As we meet this year at Munich, global tensions are at their highest point since the end of the Cold War. Like much of the rest of the world, Asia saw a number of security crises unfold over the last year. Tensions between China and South Korea flared over Seoul’s deployment of the THAAD missile defense system. The return of maritime tensions in the South China Sea continues to threaten the “long peace” that has underpinned Asia’s prosperity for the last quarter of a century. And the most important overall bilateral relationship in the Asia- Pacific is also badly frayed, with Sino-American relations at their lowest ebb in several years. Two major tensions are at the core of this friction: North Korea, and the bilateral economic and trade relationship. Armed conflict on the Korean Peninsula is a growing possibility, but not a likely one; I put it somewhere in the range of 25 to 30 percent. There is no question that a “bloody nose” strike by the United States against North Korea would lead to retaliation by Pyongyang. The US wants China to do more to bring about a change in North Korea’s behavior, though there remain serious questions over China’s ability to do so. And many of us have deep doubts about the substance and intention of the North’s conciliatory gestures around the Pyeongchang Winter Olympics. Serious diplomatic efforts must remain at the fore, including possible variations on a “freeze-for-freeze” (i.e. the North Koreans cease missile or nuclear testing in return for a halt on US-South Korea joint military exercises), along with other measures such as carefully targeted sanctions. There is also the increasing possibility of a US-China trade war. The Trump administration recently raised tariff barriers on solar panels and washing machines, leading to immediate retaliatory action from Seoul and threats from China of retaliation against key US export sectors. The truth is that most policymakers in the US and China know a full-blown trade or currency war would be deeply damaging to the economic prosperity of both countries and to the global economy. Hundreds of thousands of Americans and Chinese would lose their jobs, and GDP in both countries would take a serious hit. Where this goes next is deeply uncertain, but more generally I fear for the future of the international trading regime in the absence of US global leadership. Indeed, the single most pointless wound inflicted by the United States on both itself and the Asia-Pacific over the past year was its withdrawal from the Trans-Pacific Partnership (TPP). Once a great free-trading nation, America has left the global trading system completely rudderless, with the deeply concerning consequences of calling the entire global trade regime into question and undermining the source of much of the world’s prosperity. These are some of the immediate challenges confronting policymakers across the Asia-Pacific. But in the long term, how do we develop a mechanism to manage the region’s most pressing security tensions? One of the problems has been the failure of the wider region to generate a political security institution capable of entrenching pan-regional norms, practices and cultures for the management of underpinning geopolitical tensions. 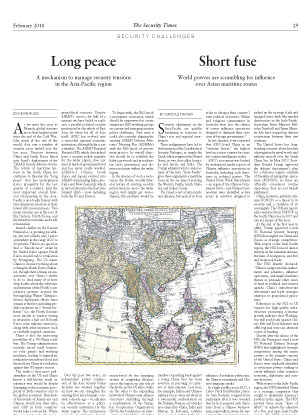 Despite ASEAN’s success, for half of a century we have failed to replicate a parallel political security institution for the whole of East Asia, let alone for all of Asia itself. APEC has evolved into a successful regional economic institution, although India is not a member. The ASEAN Regional Forum (ARF), which does indeed have a security policy mandate for the wider region, does not meet at head-of-government level and has never really worked. 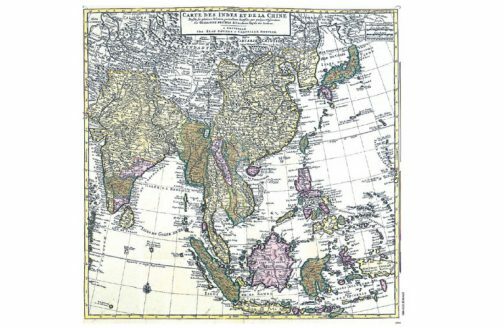 ASEAN+3 (China, South Korea and Japan) evolved into ASEAN+6 (including India, Australia and New Zealand), which in turn evolved into the East Asia Summit (EAS – now including both the US and Russia). Over the past two years, an independent policy commission of the Asia Society Policy Institute has worked together on how we can strengthen the existing East Asia Summit – created a decade ago – to enhance its effectiveness as a political security institution for the wider region. The commission is made up of former foreign ministers Marty Natalegawa of Indonesia, Yoriko Kawaguchi of Japan, Kim Sung-hwan of South Korea and Igor Ivanov of Russia; former national security advisers Shivshankar Menon of India and Tom Donilon of the United States; Wang Jisi, a member of the foreign policy advisory group of the Chinese foreign ministry; and myself. The EAS has the mandate to expand its activities in the security domain. The Kuala Lumpur Declaration of 2005 makes this clear. Furthermore, signatories to the EAS have all signed the Treaty of Amity and Cooperation in Southeast Asia, which commits partners to peaceful dispute resolution. Moreover, EAS is unique in having all necessary players around the one table. To begin with, the EAS needs a permanent secretariat, which should be empowered to create temporary EAS working groups on current and emerging security policy challenges. Over time it could also consider aligning the existing ASEAN Defense Ministers’ Meeting-Plus (ADMM+) with the EAS heads of government process. Its overall objective should be to establish the habits, protocols and procedures for crisis prevention and dispute resolution within the wider region. In the absence of such a secretariat, the brittle, usually bilateral nature of existing security policy tensions across the wider region will simply get worse. Indeed, this problem would be exacerbated by the emerging system of competing alliances across the region: on one side of the divide are the US allies, while on the other is the expanding network of Chinese semi-alliance structures unfolding through a combination of the Shanghai Cooperation Organisation (SCO), the Conference on Interaction and Confidence Building Measures in Asia (CICA) and perhaps the Belt and Road Initiative. An expanding East Asia Summit, perhaps one day evolving into a wider East Asian community or an Asia Pacific community, will not serve as a substitute for the development of existing alliance structures. But it could help take the sharper edges off what is currently unfolding, while simultaneously promoting the evolution of concepts such as common security, military transparency and common military exercises, which over time could help preserve the “long peace” from which we have collectively benefited since the end of the last Korean War. was Australia’s 26th prime minister and is president of the Asia Society Policy Institute in New York.